Oil and gas projects continues to expand at a rapid pace in the Nigerian oil and gas industry, and the operators have signed the Final Investment Decision (FIDs) and some are expected to sign their own FIDs over the next couple of months in order to commence work on their respective projects. As deepwater projects, FPSOs, and other vessels multiply and spread into deep offshore in Nigeria, the need for more investments increases greatly. 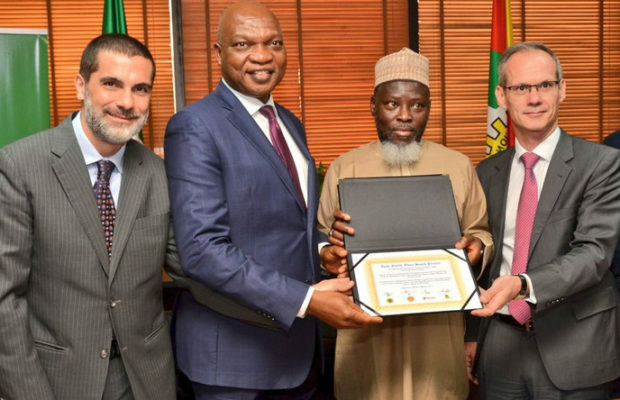 In the fourth quarter of 2018, Shell Petroleum Development Company of Nigeria Limited (SPDC) made the Final Investment Decision (FID) on the Assa North Gas Development Project in Imo State, a major momentum to the domestic gas aspiration of the Federal Government for increased power generation and industrialization. The project is expected to produce 300 million standard cubic feet of gas per day and will be treated at SPDC JV’s Gas Processing Facility and distributed through the Obiafu-Obrikom-Oben pipeline network. While enphasizing on the project’s contribution to GDP growth in Nigeria, SPDC’s Director and General Manager Projects, Mr. Toyin Olagunju, said the Assa North project would be a significant contribution to GDP growth in Imo State and across Nigeria as the gas produced will be utilised in-country across diverse industries, while providing economic opportunities for local communities. SPDC JV has also signed a gas supply and aggregation agreement with Geometric Power Aba Limited (GPAL) for the supply of about 43 million standard cubic feet of gas per day to support the 140MW Aba Integrated Power plant at Ossisioma in Abia State. River traversing Abia and Rivers States to the power producer, GPAL, via a gas pipeline network which is already installed. Meanwhile, the French Oil Major – Total made a Final Investment Decision on Ikike Project in the OML 99 licence offshore Nigeria on 29th Jan, 2019. The field is expected to commence production Q2 2021 and will deliver 70 Mboe to a maximum daily production of 32000 barrels per day of oil. The project will promote Nigerian Content in the Oil and Gas industry. Moving forward, ExxonMobil and Qua Iboe Power Plant Limited (QIPP), have initiated plans to invest a combined $1.6 billion in the development of gas and power projects in Akwa Ibom State.The initiative would see QIPP invest $1.1 billion in the building of a gas power plant with ExxonMobil investing $500 million in a gas project in the area. The CPA was executed with the communities under the auspices of the Akwa Ibom State Government with His Excellency, Governor Udom Gabriel Emmanuel, Dr. Emmanuel Ekuwem, the secretary to the government, Elder (Engr.) Ufot Ebong, senior special adviser to the governor on technical matters & due process, and other top government officials of the state. The agreement covers critical areas such as community employment opportunities, procurement and supply contracts, and socio-economic development projects. NCDMB has projected that in the next two years there will be an additional $25 billion investments to be invested into the oil and gas sector of Nigeria. And, with the resolution of some of the cash call challenges the joint ventures were facing which stagnated projects & investments in the oil and gas sector, a lot of opportunities are springing up again.